Monday 5 a.m. - 7 p.m.
Tuesday 5 a.m. - 7 p.m.
Wednesday 5 a.m. - 7 p.m.
Thursday 5 a.m. - 7 p.m.
Friday 5 a.m. - 7 p.m. Located in the Solomon Center, Andy’s Fitness Center is your most convenient and well equipped post work out facility. 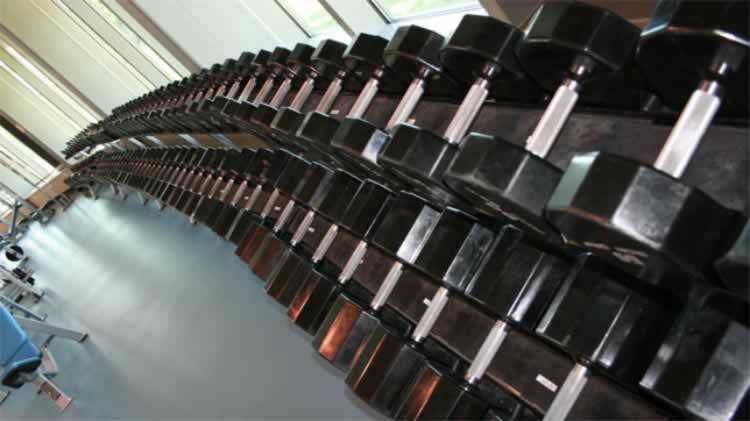 Andy’s Fitness Center houses contemporary, high quality equipment including free weights, weight stack machines, cardiovascular pieces with cardio theater, and an indoor running/walking track. A variety of aerobic classes from beginner and senior classes to highly challenging kick boxing and step sessions are available at convenient times. Use of the facility requires that a patron be affiliated in one of the following ways: All U.S. Active Duty Military and their family members with ID Card, U.S. DOD Civilian ID Card holders and family members with ID Card, Retired military ID Card holders, Reserve and National Guard members and their families when the member has been called or ordered to duty, Veterans with 100% service connected disability, honorably discharged. All participants are expected to conduct themselves in a reasonable, responsible, and prudent manner in accordance with facility rules and regulations. All guests must be accompanied by authorized patrons, one guest per ID card holder. Guest will be asked to provide identification when using facility for safety/security purposes.